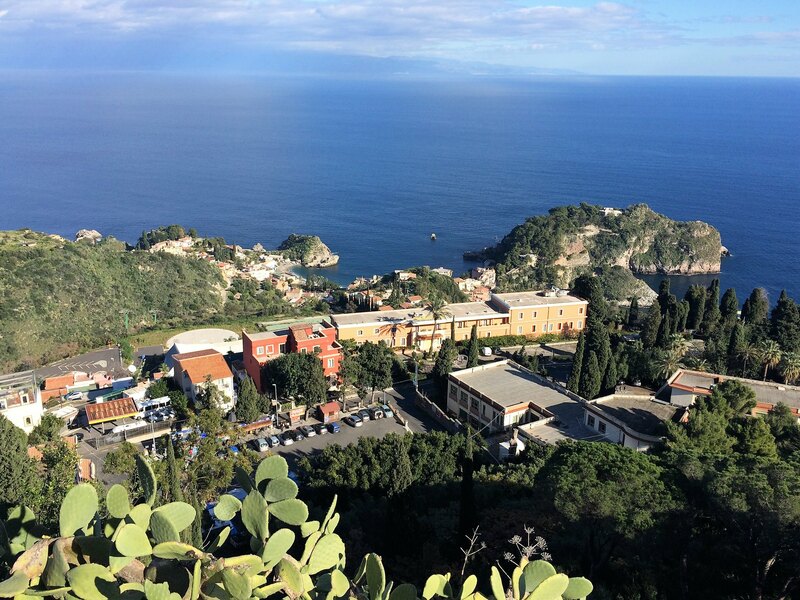 The city is beautifully situated between mountain and sea. Before our trip we dicussed about spending here the whole week. But now we were happy that we did not. Very much tourists and the typical international flair of such places. 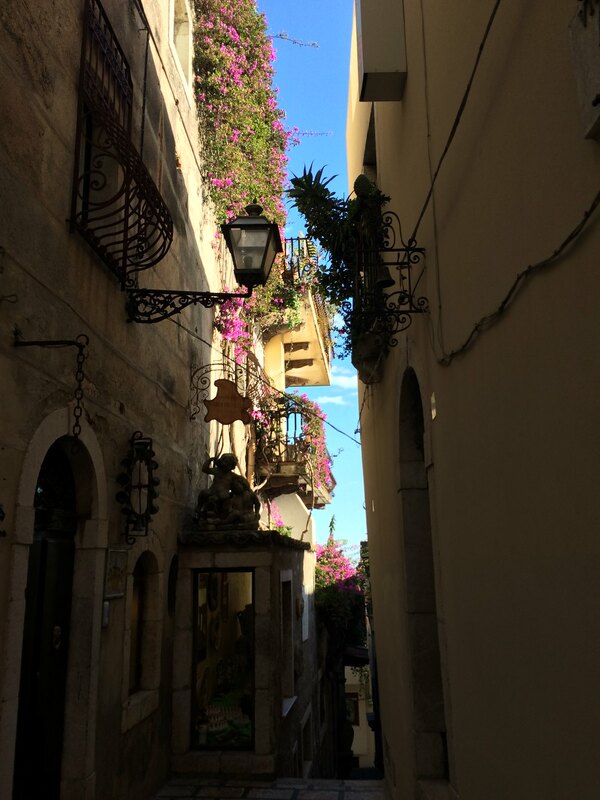 It was a much better idea to go to Ortigia! But the scenery is really beautiful. Even after one week still surprising: It is the 2nd of January! It was my first time in the South in winter. 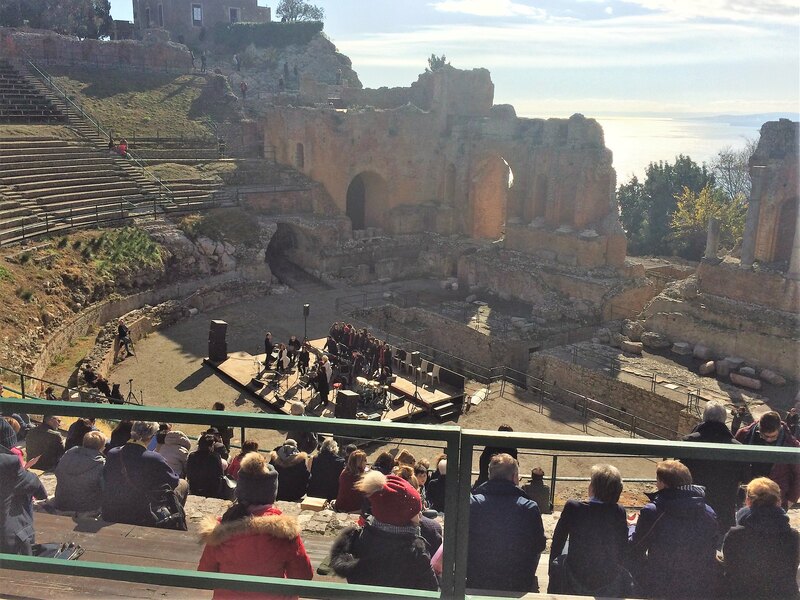 When we came to the ancient theatre, we experienced a surprise. We were invited to step in for free and received a program booklet. The new year's concert was going on and so we joined in and enjoyed swing classics with great lady singers and a gospel chorus. This theatre is in my opinion one of the most magic places of the world. 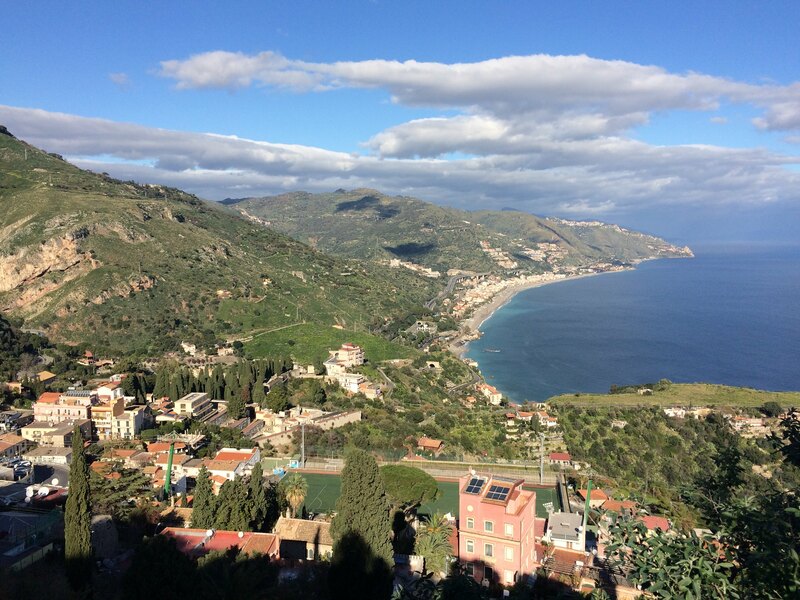 This view along the coast, over the sea and to the Etna. And in late afternoon, the sun is sinking there also. Listen to the final song of the concert and you can feel a bit of the special mood of this day. On the next day we had to fly home again and landed at -1°C and snowfall and it was quite dark in early afternoon! A harsh contrast to this beautiful week. Thank you for joining me. This has been a marvellous winter trip Ralf. 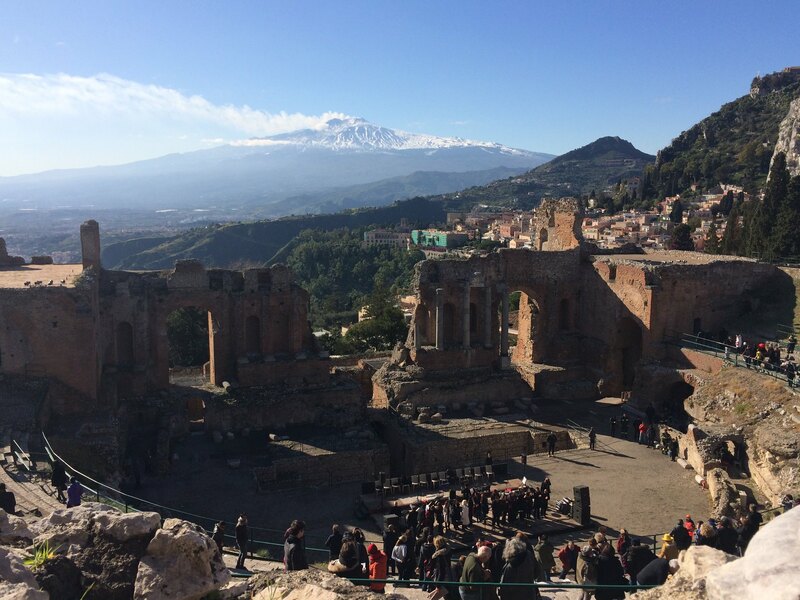 And unlike me on my summer visit you actually got a clear view of Etna from the theatre in Taormina! 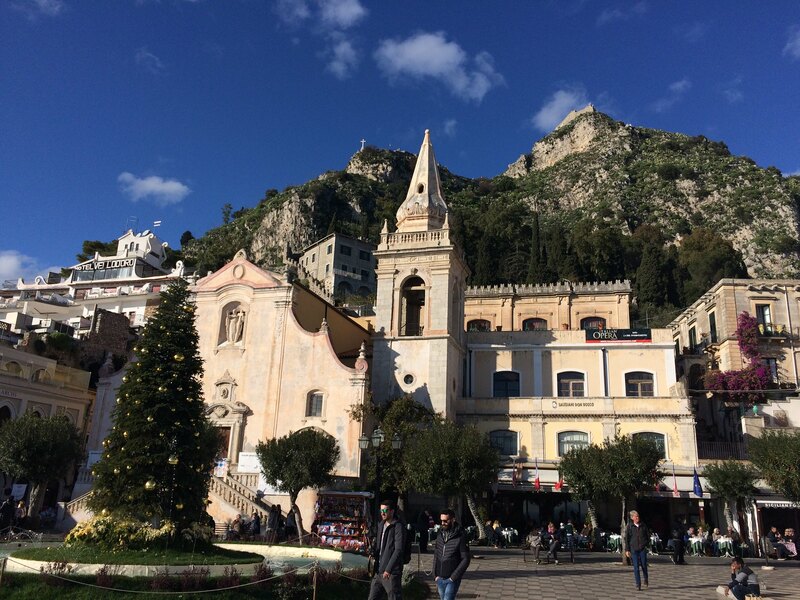 Oh, how wonderful... Taormina, the place we anchored off several times whilst I was serving on Crystal Symphony. I only saw the place from the tender and from the ship at anchor... tendering day meant I could not have my shore leave.